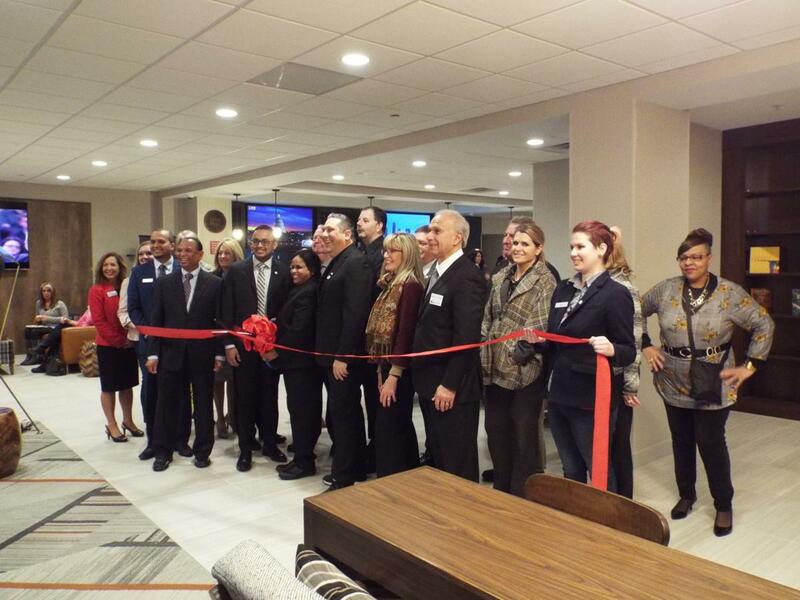 Four Points by Sheraton welcomed community members and leaders to its newly renovated hotel in Eastlake this week, celebrating the grand opening with an open house and ribbon-cutting ceremony. The hotel at 35000 Curtis Blvd., next to SOM Center Road and Route 2, was recently renovated under its new ownership. Everything from the ballroom to the restaurant to individual rooms was either remodeled or redesigned. One focus of the renovations was to make the lobby a community-oriented space. He mentioned that the lobby features a library with books and board games. It’s also openly connected to the bar. “We want our guests to really come and enjoy time in this lobby, and that’s something that wasn’t there before,” Pampati said. Four Points administration and owners hope to make the hotel a primary location for business events and gatherings. The hotel has been open as Four Points since Dec. 10, according to Pampati. At the grand opening, Eastlake city officials and Lake County leaders gathered with community members to tour the facility, enjoy food and connect with hotel staff. Eastlake Mayor Dennis Morley told attendees that the city will continue working with the owners to help their investment grow and bring businesses to the hotel.